Wolfram Alpha - This website is essentially an academic google. You can search all kinds of stuff and it will give you an encyclopedic type answer. However, it is made by the same company as Mathematica. It will do all kinds of math computations for you without you having to code anything. It has greatly contributed to my laziness while making keys for homework and tests :) You can type in things like you would in Google and get answers. Check out the beauty below. Youtube - Youtube is great for finding video clips to enhance lessons. I have written about videos for teaching slope. Lots of teachers have also posted videos of themselves teaching lessons. This could be a great alternative if you need to be out sick, but still teach content. It’s always nice to have options! Pinterest - I don’t think Pinterest is new to anyone, but it’s still a great place to get ideas. I often use the search function like google to search for topics or keywords for lessons. 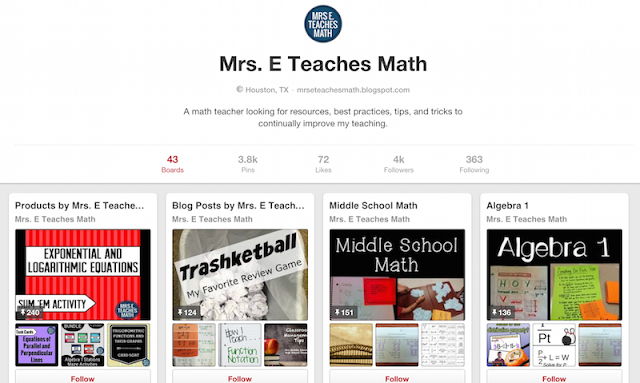 I have a Pinterest board for each high school math course and lots of boards for other school related things too. Teachers pay Teachers - I talk about Teachers pay Teachers quite a bit, but it really has been so helpful for me. There have been several times that I’ve been in a bind and needed something quickly. TpT has always come through for me. It’s nice to get the free resources, but if you’re willing to pay, you’ll get very high quality resources. You can find my store here. 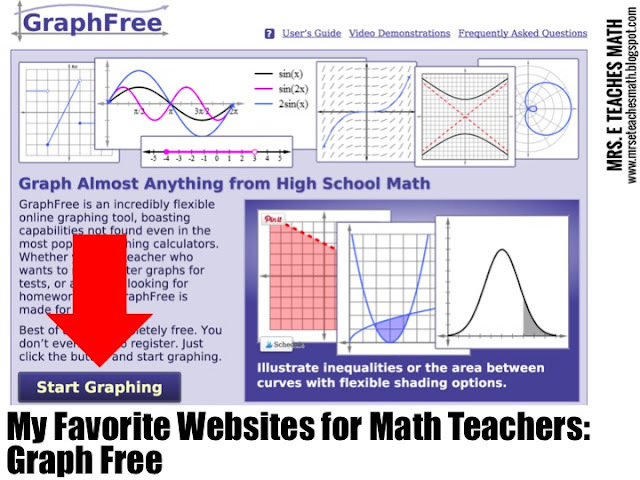 Graph Free - This is my favorite online grapher. I like the Geometer’s Sketchpad software, but it has limitations. My favorite part about Graph Free is that it is so easy to plot piecewise functions. You can change the “Plot Function” from Function to Piecewise. The “Grid Type” can also be changed for trig graphs. There are video demonstrations if you want a tutorial as well. Kahoot - Kahoot is a website that lets you make quizzes for your students to play in class. It ends up being a fun game. I wrote about creating a Kahoot and explained how it works here. 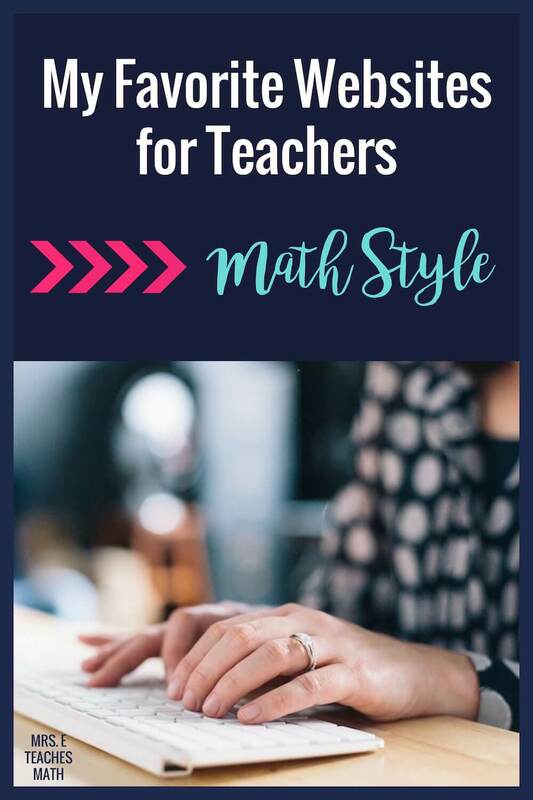 While there are tons of great websites out there for math teachers, these are my favorites! What website could you not do without? Thanks Mrs. E, great resources! I never knew about Graph Free. Wow, this will really save me time...I usually create graphs from scratch! Thank you for sharing these great sites with us. 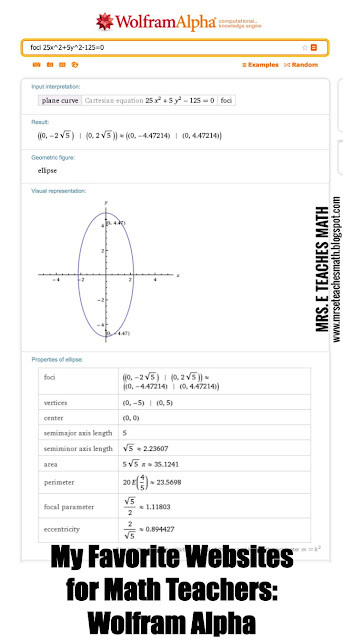 I was going to comment that Geogebra is also pretty cool, but Graph Free looks a whole heck of a lot cooler! Thanks for the tip! 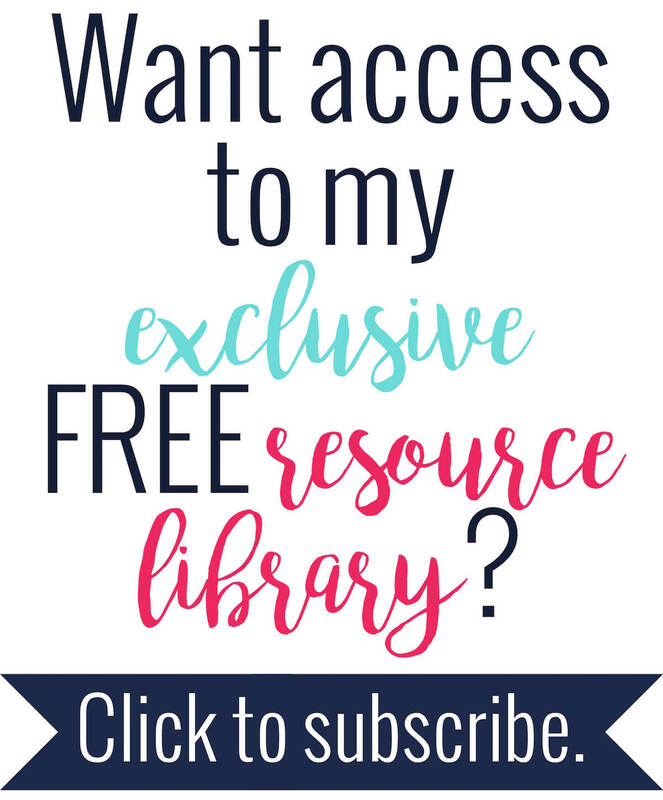 So many fantastic resources. Thank you for taking the time to share. I usually use Desmos but am looking forward to checking these out. They look better. 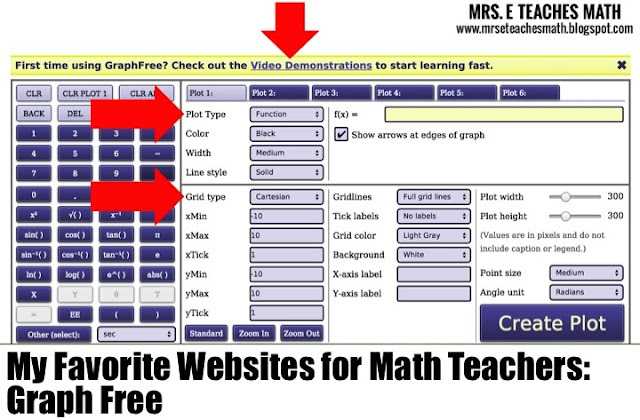 Mrs. E. Thank you for adding to my list of "GO-TO" sites for more graphing! I'll be sure to give them a try. Love the options. Wolfram Alpha makes answer keys?? Sweet! Thanks for sharing! One of my favorite websites is mathtv.com. There are tons of videos explaining how to solve math problems. I think it was Jean Adams that turned me onto Graph Free. I like that there are so many customization options. Amanda, Wolfram Alpha has saved me so much time. It works best if you're making a key for a worksheet that practices a skill or something. I just type in the equation and it spits out all information about it.